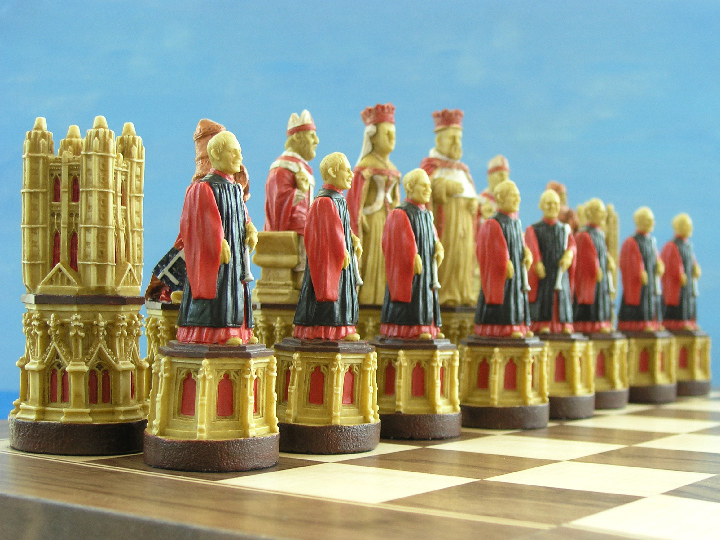 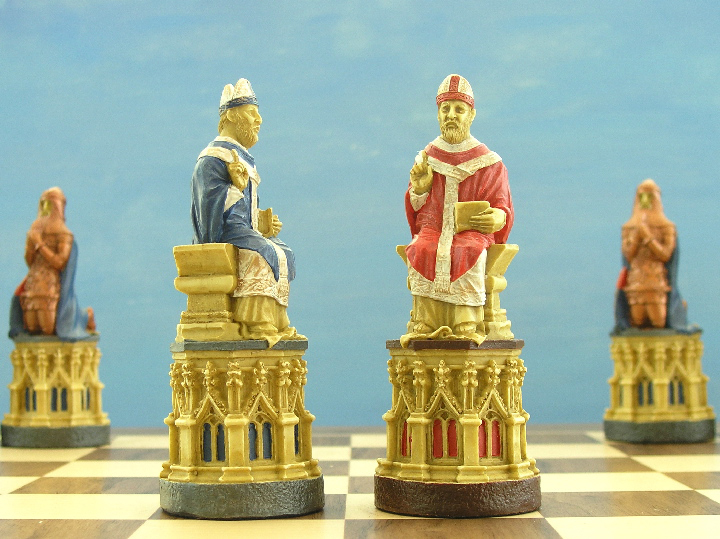 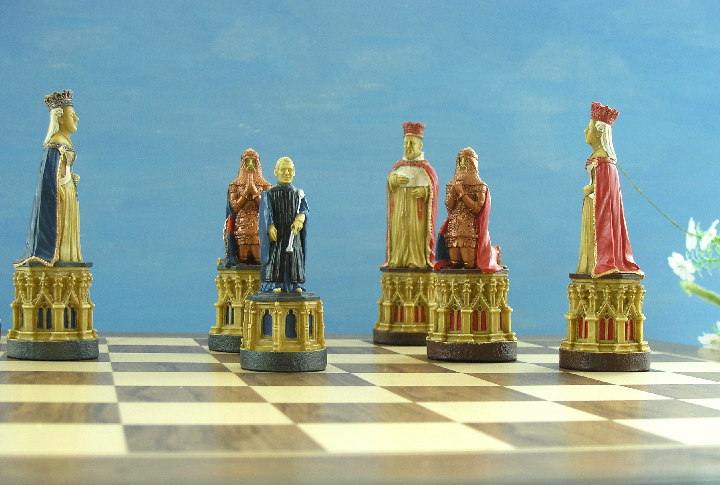 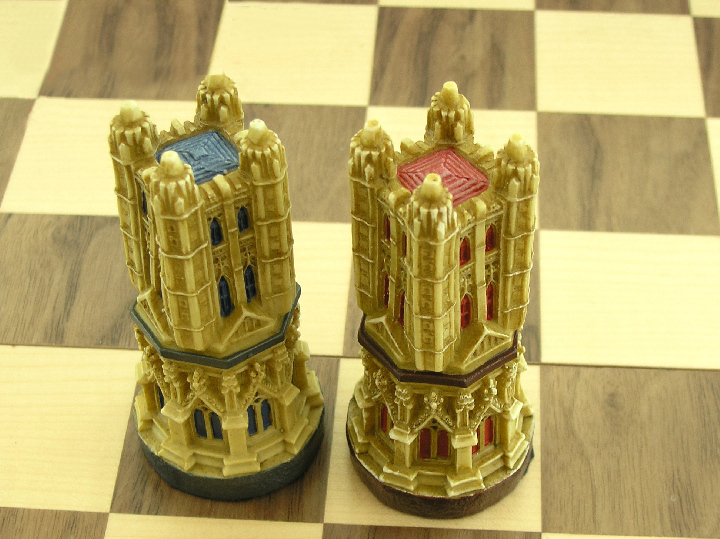 This product from Chess Baron: The Hand Painted version of the cathedral theme Chess set. 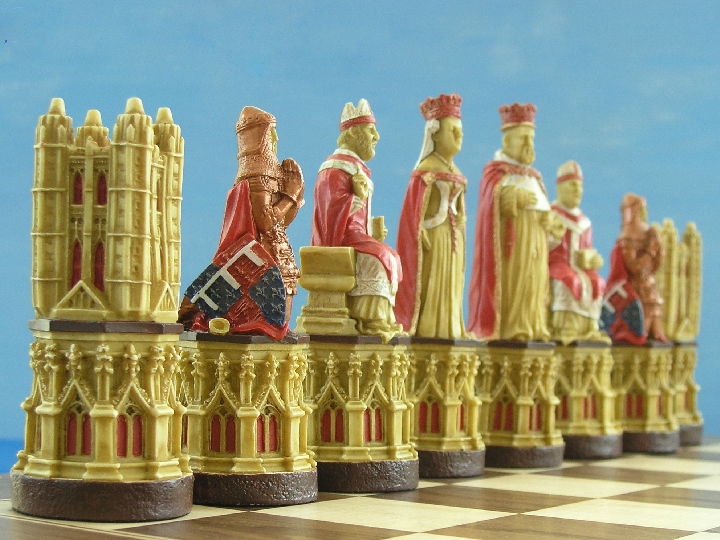 The city of Canterbury has been a place of Christendom worship for nearly two thousand years. 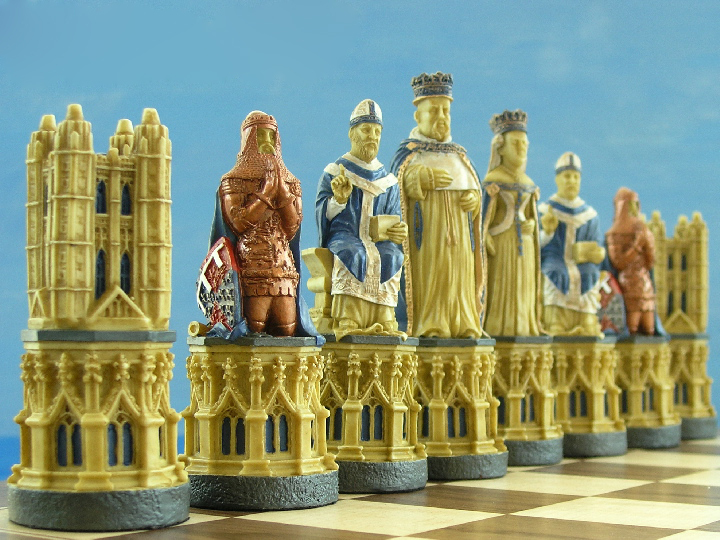 Following a major fire at the original cathedral in 1174, the monks at Canterbury used the revenue from the many pilgrims visiting the shrine and relics of St Thomas to create the first Gothic cathedral in England. 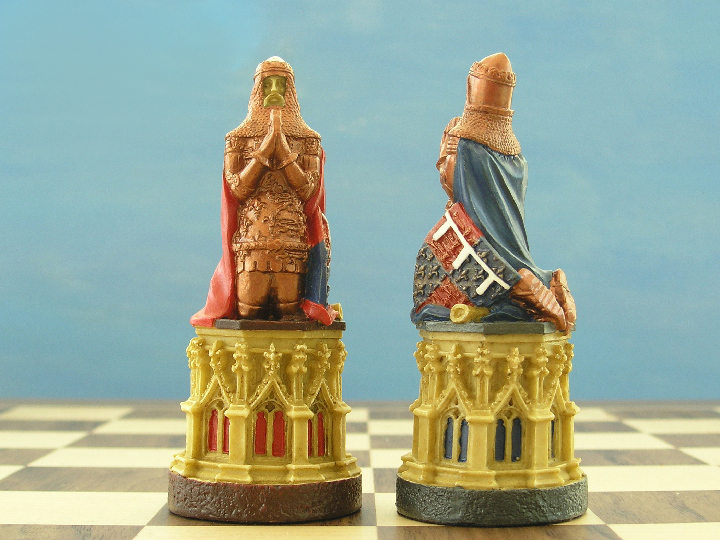 A detailed theme chess set. 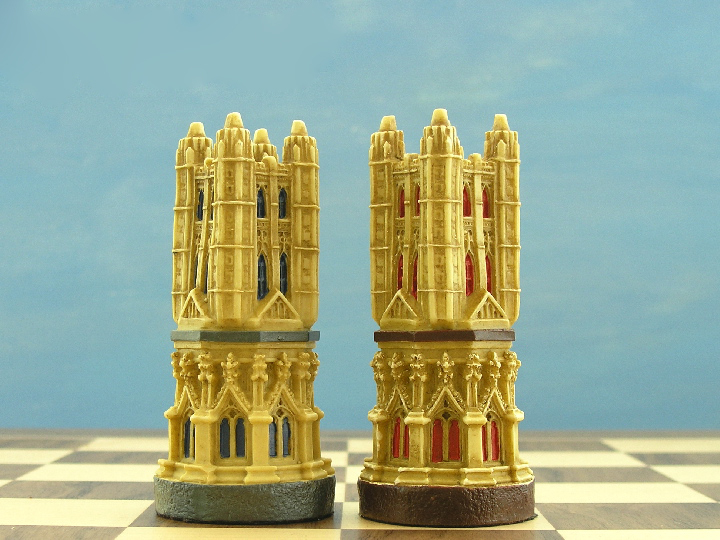 The rebuilding and reconstruction continued during the following century and ensured that at the end of the Middle Ages, Canterbury Cathedral was one of the noblest churches in Christendom. 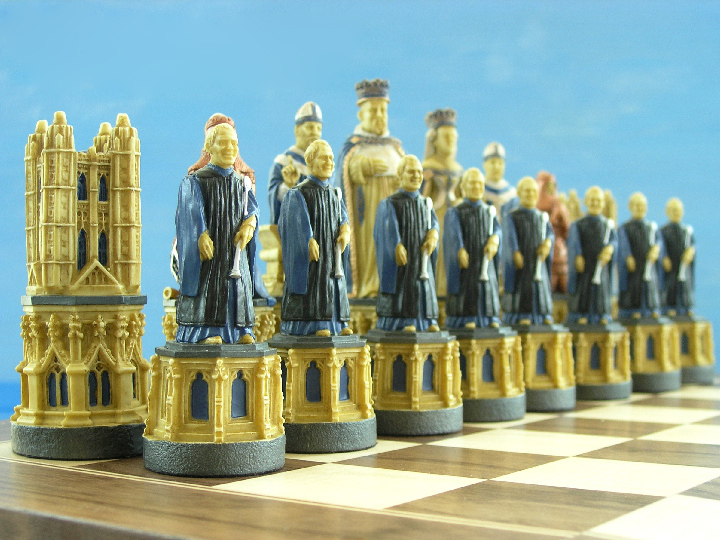 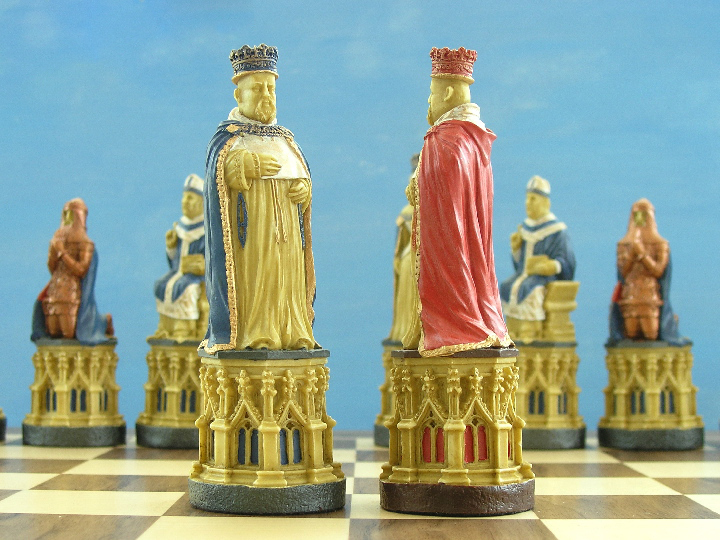 Our skilled designers and sculptors have created from the architecture and statuary in and around Canterbury Cathedral a chess set of gracious proportions and great detail.